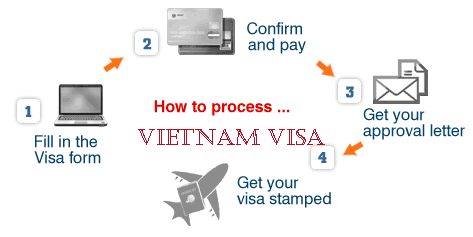 if you do not receive e-visa within 24 hours, Please contact us via this email: service@vietnamvisaexpert.com ! Requirement A passport validity of more than six months balance at time of entry, flight (or any other possible means of transportation) reservation, a valid credit card (Visa/MasterCard). Who is eligible for applying Visa on arrival? Citizens of the countries listed HERE are eligible for e-Visa. If your country is not on the list, you are either exempt from visa or you need to visit the nearest Turkish Embassy/Consulate General for visa application. To apply, click "Apply Now" on the home page and choose your nationality. Vietnam Immigration Department permit visitors to get Vietnam visa on arrival, to get visa on arrival, Visitors must have visa approval letter in advance (if Visitors do not have visa approval letter, they can not get visa on arrival).